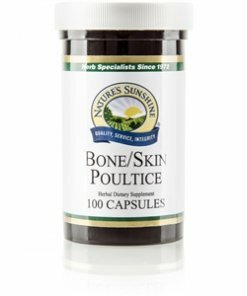 A combination of yarrow flower, mullein leaf, plantain herb, and rehmannia root, Nature’s Sunshine Bone/Skin Poultice offers the same health benefits as comfrey leaf. 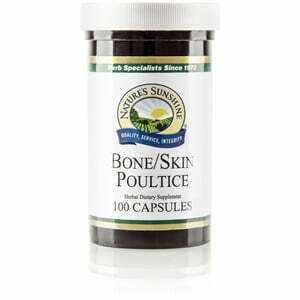 This Bone/Skin Poultice helps maintain a strong structural system. It may be combined with Nature’s Sunshine Golden Salve or Black Ointment and applied to the skin. Instructions: Take two capsules with a meal three times daily, or use with Golden Salve and Black Ointment as a poultice.